There is no cost to the creditor. You will not be asked to pay any charges, commission or fees. Advocate’s debt collection and debt recovery services are supplied completely free of charge to the creditor. The debtor pays our costs in accordance with late payment legislation. Many of the invoices we are instructed to recover payment of are paid immediately, over 50% are paid within 7 days and over 80% are paid within 14 days. You will receive 100% of the invoice sums you are owed whether it takes us 1 day or 14 days to recover payment. All we need to get started is a completed instruction form and a copy of the unpaid invoices. You can instruct us in just a few minutes by completing our online instruction form. Simply enter your contact details, the debtors contact details and a brief description of the goods or services supplied. Advocate’s expert application of late payment legislation combined with our experience, persistence and professionalism produces an industry leading success rate of 84%. 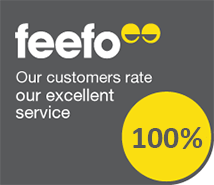 Don’t just take our word for it, read our independently submitted reviews and hear what our clients say about our debt collection and debt recovery service and the results we achieve. How does free debt collection and debt recovery work? At Advocate, we believe that you should not have to pay a single penny to recover payment of invoices that have not been paid for on time, and the Government agrees with us! Creditors are provided with a statutory entitlement to claim debt recovery costs under The Late Payment of Commercial Debts Regulations 2013. When you instruct Advocate your debtor will be forced to pay our debt collection costs in addition to the principal invoice sums you are owed. The costs we claim from debtors are legally enforceable under current commercial late payment legislation and enable us to offer a completely free of charge to the creditor service. Creditors are not required to pay any costs or charges to instruct us and there is no fee or commission to be paid once we recover payment. Creditors receive 100% of the money they are owed and a free debt collection service and debtors pay 100% of Advocate’s costs and charges. If your invoices have not been paid and the debtor is ignoring your attempts to collect payment or is making up excuses to delay payment there will no doubt be other creditors who are chasing the debtor for payment and who are receiving the same treatment. In most cases the reason for this behaviour is simply that the debtor does not at present have enough money to pay all of its creditors. The debtor will be prioritising which creditors get paid first and usually they will be the creditors that are first to take debt recovery action. Advocate’s debt collection process is all about getting your invoices to the front of the queue for payment as quickly as possible. As soon as we contact the debtor they will be in no doubt that you are serious and that you are no longer prepared to be ignored or listen to their excuses. In the vast majority of cases being put on Notice of intended legal proceedings by Advocate will be enough to elicit a response from even the most unresponsive debtor. Experience has equipped us to deal with even the most sophisticated or fervent of excuses for non-payment and our determination and persistence in educating the debtor on the serious consequences of legal proceedings results in payment in over 80% of the instructions we undertake. Our debt collection service is available to any business that has supplied goods or services to another business and has not received payment within the agreed payment terms. Please note that in the absence of agreed payment terms, current legislation states that payment becomes due 30 days following the invoice issue date. We work on behalf of business of all sizes in all sectors throughout the UK. Whether you are a large company or a small business late payment legislation applies and Advocate’s debt recovery service is available to collect payment of your invoices on a no cost to the creditor basis. We have recovered and collected payment of unpaid invoices for over 6,000 businesses, from self-employed contractors to FTSE 250 companies. We have collected debts ranging in value from £750 to over £1,000,000. Our business debt recovery process takes a maximum of 14 days. During the process over 80% of cases will paid in full, many within a few days and some as soon as we contact the debtor, all at no cost to the creditor. In a small number of cases it will not be possible for us to recover payment of your invoices within 14 days. Frustratingly some debtors will simply ignore us or refuse to pay until legal action is taken against them. Sadly in some cases the business will be unable to pay its debts and will be about to go out of business. If for whatever reason we are unable to collect payment of your unpaid invoices our services are completely free of charge. Advocate will only receive payment when we are successful and when we are successful it is the debtor that pays us. What are the benefits of using Advocate debt recovery? If you have supplied services on time or delivered goods on time, you should be paid on time. When you’re not, chasing for payment costs your business money in wasted time and effort, which ultimately impacts on your business’s profitability. You have a legal right under late payment legislation to be paid within the agreed payments terms for the work you do. In accordance with the legislation if invoices are not paid on time the debtor is liable to pay the debt collection costs. Advocate enforce your legal rights, get your invoices paid, and provide your business with a completely free of cost debt recovery service. Chasing for payment of invoices that have not been paid on time can be stressful and frustrating, it also takes up time which would be better spent on growing your business. In some cases late payment can became a serious issue if it means a business is unable to pay its own suppliers on time. The good working relationships you have built with your suppliers could become strained simply because you have not been paid on time. Every week businesses in the UK that are unable to pay their overheads and suppliers are forced to close while being owed money by debtors that would have cleared their debts. One of the reasons that late payment has become such a problem is the reluctance of many businesses to use a debt collector. This is understandable considering the poor reputation of some debt collectors and the methods they employ. Advocate offers its clients an alternative, a service that is backed by Government legislation and enforces their legal right to be paid on time. We are the most cost effective debt collectors in the UK, better than a no win no fee debt collector, there is no fee when we win! Instructing Advocate is completely risk free. If as in over 80% of the instructions we receive we are successful in recovering payment of your unpaid invoices, you will receive 100% of the invoice sums. If we are unsuccessful, at least you will have the peace of mind and satisfaction that you pursued the debt and did not increase your losses. Instructing us takes just a few minutes using our online account referral form. Enter your details and the debtor’s details along with a brief description on the nature of the debt and how it occurred. We will commence action as soon as we receive your completed instruction form and copy invoices. Initially we will analyse the debtor’s credit profile and credit rating to determine the most appropriate course of action. Have any other creditors taken debt collection action against the debtor? Are there any County Court Judgments registered against the debtor? If so have they been satisfied? Does the debtor have any mortgages or loans? If so are they in Default? Are there any Debentures registered against the debtor? Do the debtor’s latest accounts indicate that they have the financial ability to settle your debt? Don’t worry we have access to the latest debt recovery software and real time information that will answer all of the above questions and more in just a few minutes providing us with a detailed debtor profile and course of action to follow. Whilst we are proud of our information systems and search capabilities, we are also transparent, and therefore we are pleased to advise you that in most cases of late payment few if any of the potential questions we have highlighted above will be relevant. Late payment is almost exclusively due to cash flow constraints and debtors juggling their financial commitments. If we receive your completed debt collection account referral form and copy invoices before 2pm, we can usually commence action and issue a Notice the same day. On day one of our instruction we will issue the debtor with a Notice by post. On day two we will send copies by email. When completing the account referral form, please supply as many email addresses as possible, usually the more people and departments within the business that receive a copy of the Notice, the more quickly the debt will be paid. On day three we will commence telephone contact with the debtor. It is not unusual for debtors to make payment as soon as they receive our initial correspondence. If required we will continue to contact the debtor by letter, email and telephone for 14 days. Our successful debt collection rate at the end of the 14 day process is 84%. In most cases a series of professionally structured debt recovery letters, emails and telephone calls demanding payment and explaining the serious consequences of non-payment and possible legal proceedings is enough to prompt payment. Please note we are unable to accept instructions below £750.00 or non-commercial instructions including those involving private individuals, personnel loans and residential rent arrears where The Late Payment of Commercial Debts Regulations 2013 does not apply. If you are pursuing a debt that falls in to any of the above categories, the Money Claim Service could be an option for you. In the unlikely event that it is not possible for us to recover payment, the information gathered during the 14 day process will allow us to recommend to our client the most appropriate and cost effective further action. This could be the issue of County Court proceedings or Insolvency proceedings, in which case we would provide full details on the process and the costs involved. It is then our client’s decision on whether or not proceedings are issued. In a small number of cases the debtor will be insolvent and it will not be possible for them to settle the debt. In such cases as these where the debtor has no cash or assets, the costs involved in issuing legal proceedings would simply increase our client’s losses, and our advice would be to write off the debt and claim tax relief on the loss. In cases where either it is financially unviable to pursue the debt through legal action or our client decides not to issue legal proceedings, Advocate will close our file in the matter. Whatever the circumstances, when we close a file without recovering payment, the debt recovery services we have supplied are free of charge. Should our client decide to issue legal proceedings, our file will be transferred to our panel solicitors who specialise in commercial debt collection and debt recovery claims. They will issue proceedings in the name of and on behalf of our client, while Advocate will continue to be our client’s point of contact working as an intermediary, updating our client as the proceedings progress. Prior to issuing a claim in the County Court the client would be required to pay both the Court fee and solicitors issue fee. The Court fee and solicitors issue fee to be paid are dependent on the claim value and are added to the total amount claimed in Court. Both fees would be included in the total sum awarded to the client should they be successful in obtaining Judgment. The Court fees required to be paid to issue Insolvency proceedings total £1,880.00, and include the Court fee of £280.00 and the Official Receivers deposit of £1,600.00 to manage the Winding up Petition. You should take in to account that the purpose of issuing a Winding up Petition is debt collection and therefore to force the debtor to pay the debt. If once the Petition is issued the debtor pays prior to the hearing, the £1,600.00 deposit would be returned to you. Similarly if it becomes clear that the debtor is insolvent and it is not possible for them to pay the debt, we would recommend that the proceedings are stayed, and again the deposit would be returned to you. In addition to the Court fees you would be required to pay a process server’s fee of approximately £100.00 plus VAT to serve the Petition on the debtor, and the London Gazette cost of £79.40 plus VAT to advertise the Petition. Should the Petition proceed to a hearing, the objective would be to recover all of the costs involved in issuing the Petition in addition to the principal debt. A debtor’s credit rating and ability to obtain credit will be effected within days of a Judgment being registered against them. Should the debtor satisfy the Judgment within 28 of it being registered then they may apply to have the Judgment removed from the Register. If a Judgment is removed from the Register then the debtor’s credit rating will be restored. If the debtor satisfies the Judgment after 28 days it will be filed as satisfied, however, the effect on the debtor’s credit rating will last for 6 years. Despite the serious financial consequences of a Judgment there is no guarantee that it will be paid, unfortunately many are not and Enforcement will be required. Enforcing Judgment is the final phase of the debt collection process. There are several options with the most often used and usually the most cost effective option being the instruction of Bailiffs or as they are now titled High Court Enforcements Officers. The cost to instruct an HCEO is currently £66.00. Once this fee is paid the Judgment is transferred up to the High Court with an application for a Writ of Control. Once the Sealed Writ of Control has been returned by the High Court, the HCEO would send the debtor a Notice of Enforcement giving 7 working days to satisfy the Judgment in full. Should the debtor fail to satisfy the Judgment, the HCEO would attend the debtor’s business premises to demand immediate payment. If the debtor is unwilling or unable to make full immediate payment, the HCEO would seize goods to be sold at auction.